Many new alpaca breeders are discovering that there are unique joys in raising alpacas and that alpacas represent an investment in a lifestyle. That lifestyle, which includes outdoor time in a country setting makes a welcome change of pace for some, or a return to the country for others. Raising alpacas opens the door to country living better than most agricultural endeavors. 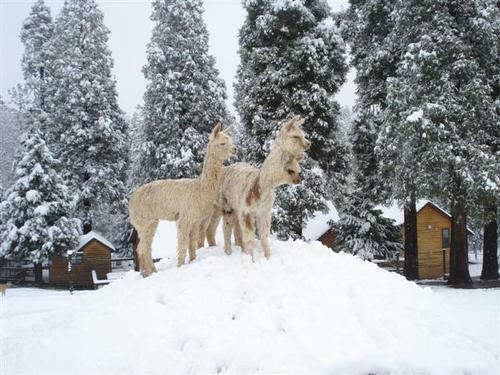 The value of the alpaca and its fiber allow for a profitable business on a small acreage. The animals are robust enough that it is easy for someone to start raising them with little prior animal husbandry experience. Watching alpacas graze outside your home is one of the most peaceful, soothing experiences imaginable. 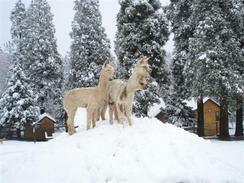 Alpacas go well with a wide variety of lifestyles or living situations. 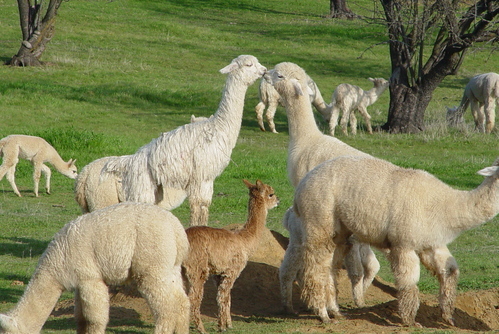 Owning a small herd of alpacas is compatible with a career. There is always the option of boarding your animals with another breeder (agistment), but even the hands-on rancher can easily manage with another career. Daily feeding and care can take as little as 30 minutes a day, and looking after the animals makes a pleasant change from the office routine. Effective alpaca operations can run on a small acreage with correspondingly less property maintenance required. Also, it is easier to find smaller properties within a reasonable travel distance of the larger employment centers. Retiring to the country is a dream for many. Alpacas may allow this dream to come true. Alpacas can adapt to almost any property as long as they have shade and shelter. Their small size, trainability and easygoing temperament allow them to be managed by almost anyone - young and old, male or female. No need to give up your vacation or travel plans just because you own alpacas. Alpaca care is easily delegated as it takes so little time and the animals are so hardy; nothing like the twice-a-day milking routine of the dairy farmer! 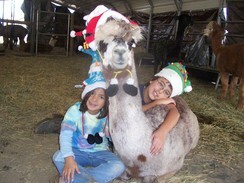 Alpaca events, shows and conferences provide an opportunity to travel on Alpaca business. Bringing children up while alpaca ranching is an outstanding combination. Alpacas are gentle creatures and have an innate understanding of the fragility of children. Children growing up with alpacas learn respect and responsibility for other creatures, and are exposed to reproduction and cycles of the seasons helping them see how life grows and changes. Alpacas also provide a great 4-H project. Many people wonder how their neighbors will react. We haven't heard of neighbors who didn't welcome these clean, quiet, gentle and graceful creatures into their neighborhood. Finally, there is the opportunity to meet good people. 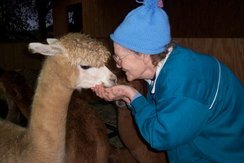 You will be sharing the joys of alpaca raising with other breeders, fiber artists, country folk and those who wish they could be country folk! 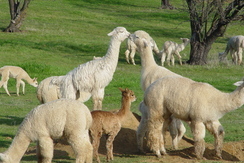 Visit a Calpaca ranch and see what we mean when we say alpacas are truly a lifestyle investment!